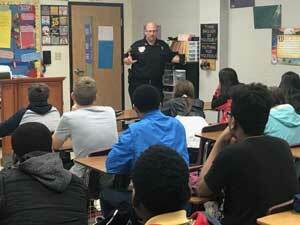 New Albany Police Department Chief Chris Robertson spoke to eighth graders at New Albany Middle School on Thursday, February 22. Robertson spoke about the personal dangers and legal consequences of personal choices associated with texting and social media. 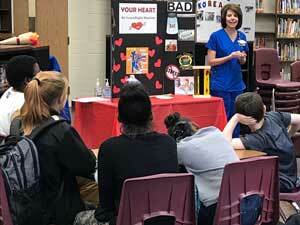 Stefenie Hodges, Occupational/Community Health Nurse Coordinator with Baptist Memorial Hospital – Union County presented a heart health education program to students involved in the New Albany Middle School’s 21st Century Community Learning Center After-School Program on Thursday, February 22. 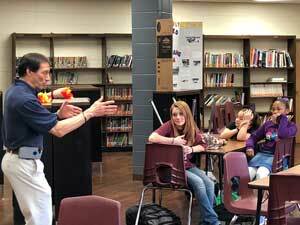 Dave Belli with Anytime Fitness spoke to students in the 21st Century After School Program at New Albany Middle School on Thursday, March 1. He spoke about the importance of a healthy diet and a regular exercise routine.